The kitchen. Yes, that’s carpet you see there. I remember walking around the corner from the living room and seeing the kitchen for the first time. My first thought was: “that’s carpet.” Then I looked around and saw how spacious the kitchen was, how much cabinet space it has, and how nice it would be to have that center island work space. Initially we thought the little bill desk would be nice but we won’t really need it if we make the library our office space. So now we’re talking about taking out half of the wall where the desk is to open up the kitchen to the living room and put in a breakfast bar. You know, because that will be fast and affordable. 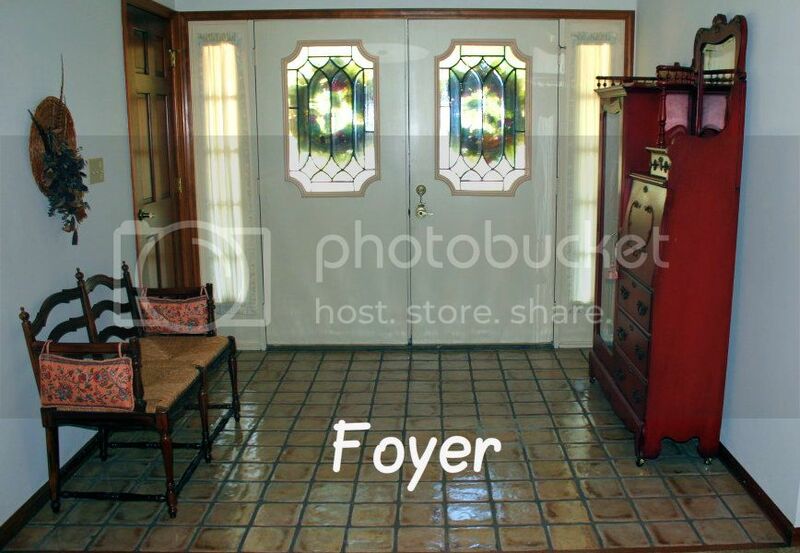 You can kind of tell by the first photo that it’s an eat-in kitchen. We like that. We’re not the formal dining room type anyway. I forgot to take a photo of the area but it is sufficiently sized. I’d love to replace the cabinets but I think we will have to settle for painting them and replacing all the hardware. 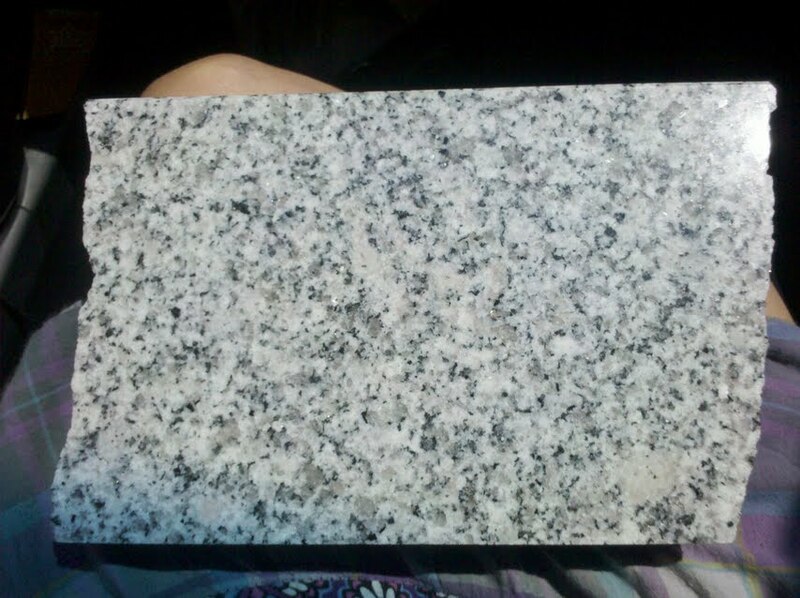 We looked at a granite wholesaler Sunday and found this beautiful countertop for $25/sq. ft. installed! What a deal. I could write fifty blog posts about what I want to do in the kitchen. Better move on. The boys’ bathroom. What is the obsession with carpet? It has to go, stat. I love the amount of cabinet/storage space. The cabinets are already painted a light gray. Thinking about just replacing the countertop and hardware and leaving the cabinets gray. I’d like to add another sink and put in tile floors. Not a fan of the blue bathtub but the gray tile is in good shape so I was thinking about trying to save it to save time and money. Anyone know if we can just put a white insert tub right over that? Have to figure out some creative way to get rid of that safety bar. Maybe replace a few random tiles with brightly colored ones? Their bathroom is quite spacious. It would be one of the first things to remodel, and hopefully before we move in, because it has the only bathtub in the house. The hall bath, located between the front door and the kitchen. More carpet! Weee! The bathroom is unusually gigantic for a hall bath. Not sure what we are going to do with this space. We have a huge attic with room to finish some space. We are thinking about eventually putting a 4th bedroom up there for guests and possibly using this bathroom as the stairway space. So we might not do anything with this right away. Is that light fixture supposed to be a joke? 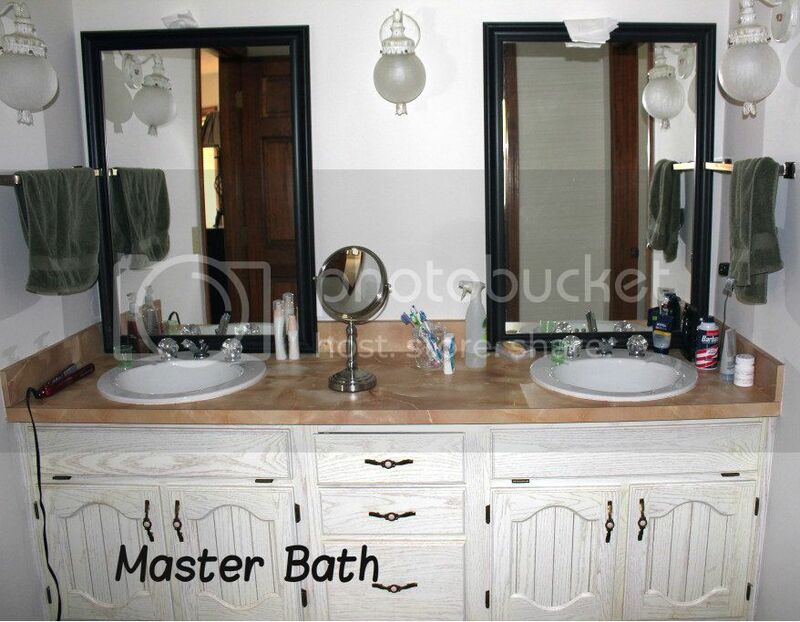 And why do you need that much storage space in a half bath/hall bath? I still have to show you the basement and the boys’ rooms. They’re not bad. The boys rooms pretty much just need paint and new window treatments. I think the basement is okay, but Ryan has big plans for it. I’ll post more about it later. What do you think? As bad as you thought or worse? I mentioned the other day that we are under contract right now for a house that you might call a dump fixer upper. I was debating whether or not to post pictures of the house because of what happened last time. A few nosy interested friends asked to see the money pit potential of our soon-to-be home (hopefully?). I aim to please. From the outside? Completely charming. Beyond that, not as charming. Here’s a partial tour. 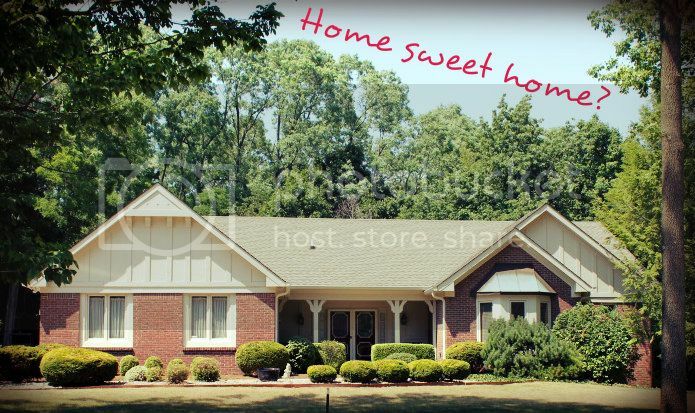 This is where you would enter from that cute front porch. Ryan hates the tile, I actually don’t. But if we’re in the business of remodeling practically EVERYTHING, I guess we may as well update it too. That door you see next to the double doors is a walk-in coat closet. Genius. Is it just me or is the coat closet always crammed? 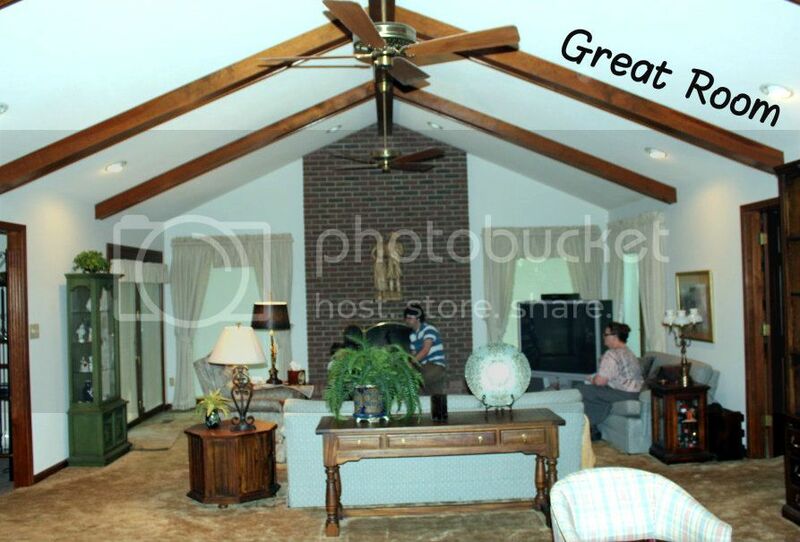 This is a view of the 29×19 great room as you walk into the foyer. Everything is dated. Everything. I don’t mind the stained woodwork and wood beams. Other than that, it all pretty much has to go (except my mom and husband).The drapes are dreadful and the fans are blah. I’m thinking about painting the brick fireplace and doing some kind of mantle. Love the canned lights in the ceiling. 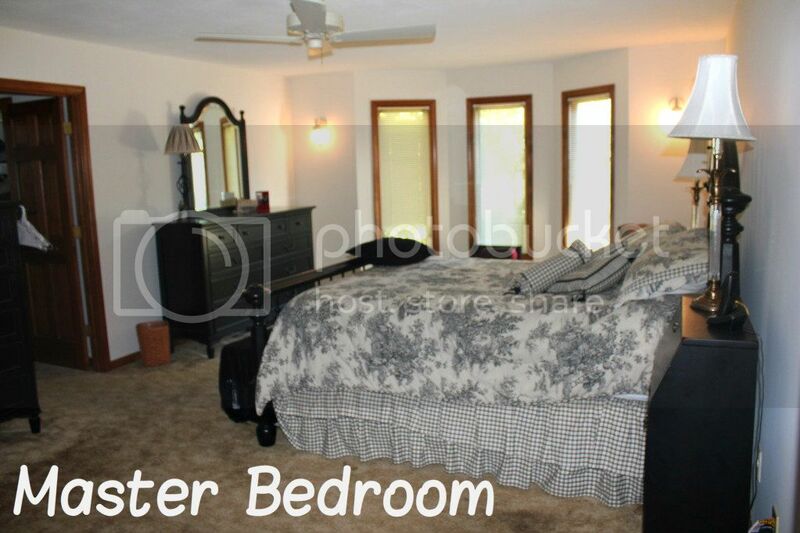 I don’t have too many bad things to say about the master bedroom. 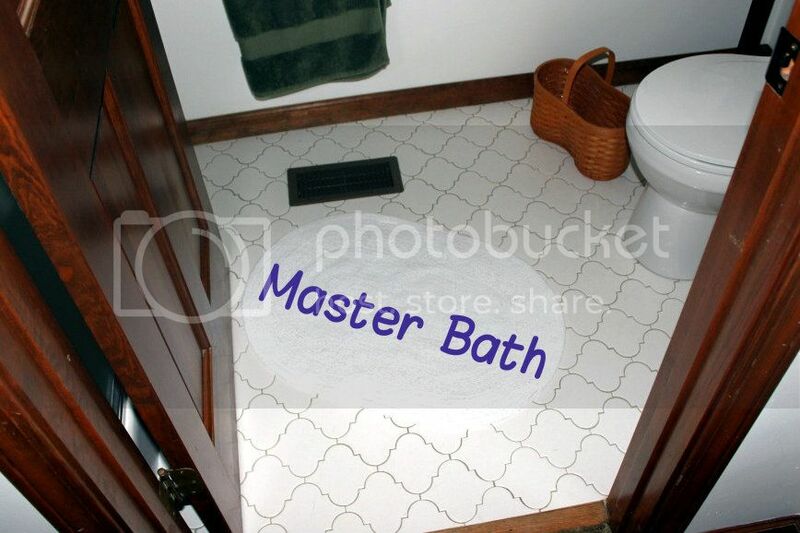 (I’ll save that for the master bath). It’s nice and spacious and I love the window. It faces the road, you can see it under the copper awning in the first picture of the exterior. Somebody screeeeeeam! Yeah, nice, huh? Okay, where to begin? Those sconces? The countertop? 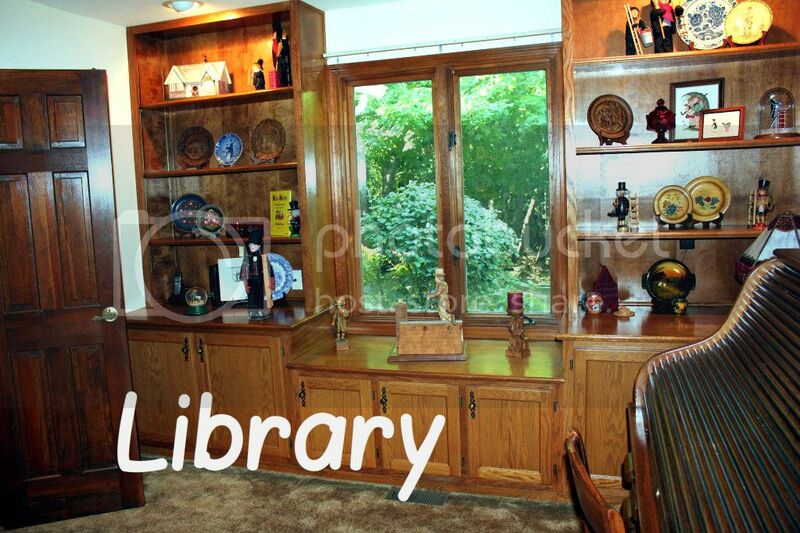 Or the cabinets. Oh, by the way. It’s carpeted. It’s awful. Hope you’re enjoying this somewhat embarrassing tour. What were we thinking??? Moving on. 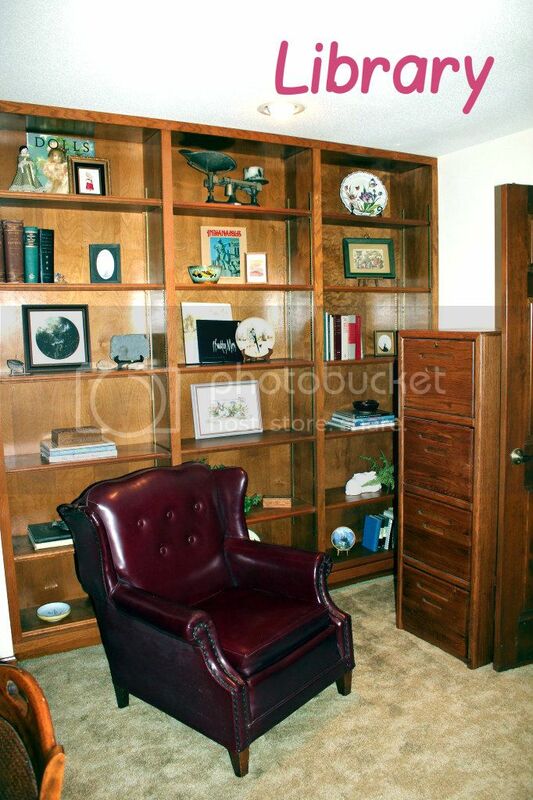 To save myself some time, I won’t post pictures of the master closet; I’ll just say that it is really nice. Excited about not having to keep my clothes in Dexter’s room anymore! I really like the tile in the master bath and the shower is in great shape. The shower might be the one new(ish) thing in the house. I’ll show you one more room and save the rest for later. This mama’s tired. Just got home from my grandpa’s funeral and the boys went right to bed. Taking advantage of a little quiet time. This is the office view from the great room. 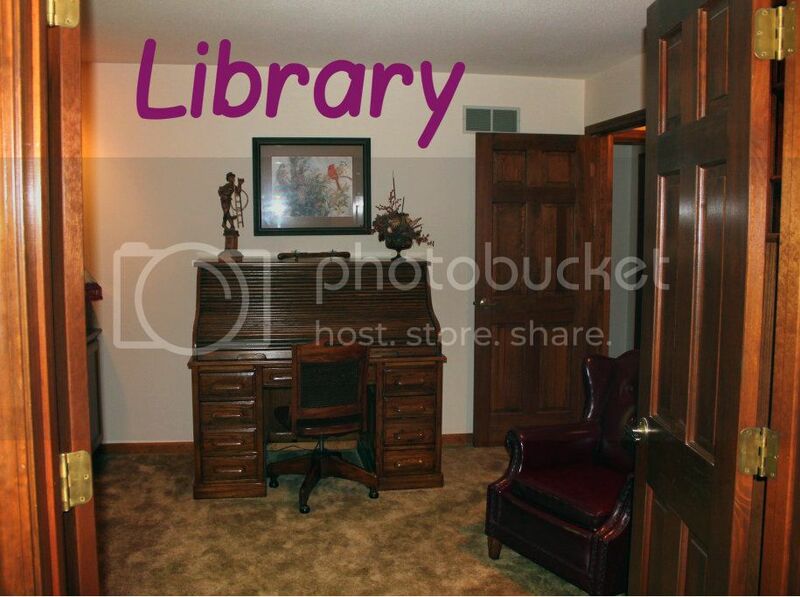 I like to call it a library. Doesn’t it sound more quaint? Hehe. I love the cabinets. To the left, a view of the backyard and custom cabinets. More shelving to the right. So that’s it for tonight. Care to see more? Would you run the other way? It wasn’t supposed to be bath night. But then the baked beans happened. And the bath was not far behind. I think I’ll just drink the water. Baby boys like a good bubble bath too. Let’s turn on the jets. Isn’t this the most beautiful bathtub?